John E. O'Connor was born circa December 1883 at Montezuma, Cayuga, New York, USA.1 He died on 4 March 1884 at Auburn, Cayuga, New York, USA.1 He was buried at St. Joseph's Cemetery, Fleming, Cayuga, New York, USA. Thomas O'Connor was (an unknown value) at Priest. He lived at Numerous parishes in Central NY. He lived in 1870 at Montezuma, Cayuga, New York, USA.2 He was born on 1 February 1870 at New York, USA.1,2,3 He lived in 1880 at Montezuma, Cayuga, New York, USA.1 He lived in 1892 at Montezuma, Cayuga, New York, USA; Age: 22.3 Joseph Lawrence O'Connor and Anna Cecelia Quinn were married by Thomas O'Connor on 1 June 1910 at St. Patrick's Church, Moravia, Cayuga, New York, USA. He died on 8 September 1957 at Rochester, Monroe, New York, USA, at age 87. He was buried at Holy Sepulchre Cemetery, Rochester, Monroe, New York, USA. Her married name was Flanigan. Catherine O'Connor was born on 25 February 1871 at Montezuma, Cayuga, New York, USA.3,1,2,4 She lived in 1880 at Montezuma, Cayuga, New York, USA.1 She lived in 1892 at Montezuma, Cayuga, New York, USA; Age: 21.2 She married Charles W. Flanigan on 22 June 1900 at Auburn, Cayuga, New York, USA. Catherine O'Connor died on 23 December 1961 at Auburn, Cayuga, New York, USA, at age 90. [S11] 1910 United States Federal Census, online , 1910; Census Place: Auburn Ward 6, Cayuga, New York; Roll: T624_928; Page: 9B; Enumeration District: 17; Image: 410. Maurice A. O'Connor was also known as Morris O'Connor.8 He was born in January 1873 at Montezuma, Cayuga, New York, USA.1,2,3,4,5,6,8,7 He lived in 1880 at Montezuma, Cayuga, New York, USA.2 He lived in 1892 at Montezuma, Cayuga, New York, USA; Age: 19.8 He lived in 1900 at Montezuma, Cayuga, New York, USA; Age: 27Marital Status: Single; Relation to Head of House: Boarder.9 He married Johanna Elizabeth Connors, daughter of John Connors and Ellen Canney, on 29 July 1901.10 Maurice A. O'Connor lived in 1910 at Montezuma, Cayuga, New York, USA.3 He married Mary E. Connors, daughter of John Connors and Ellen Canney, on 14 August 1917 at Montezuma, Cayuga, New York, USA.11 Maurice A. O'Connor lived in 1920 at Montezuma, Cayuga, New York, USA.4 He lived on 1 June 1925 at Montezuma, Cayuga, New York, USA; Age: 52Relationship: Head.7 He lived in 1930 at Montezuma, Cayuga, New York, USA.6 He lived on 1 April 1940 at Montezuma, Cayuga, New York, USA.5 He died on 3 September 1948 at Roswell Park, Buffalo, Erie, New York, USA, at age 75. Mary Connors John Conners Ellen Canney. Margaret Brown married Thomas O'Connor. Thomas O'Connor married Margaret Brown. 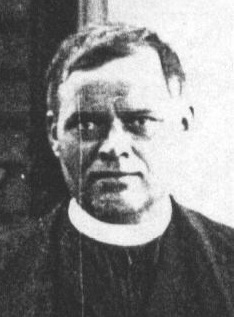 James O'Connor was also known as Father Ronan O'Connor. He was born circa 1873 at New York, USA.1 He was born circa 1874 at New York, USA.2 He was born circa 1877 at New York, USA.3 He lived in 1880 at Montezuma, Cayuga, New York, USA.1 He lived in 1892 at Montezuma, Cayuga, New York, USA; Age: 18.2 Joseph Lawrence O'Connor and Anna Cecelia Quinn were married by James O'Connor on 1 June 1910 at St. Patrick's Church, Moravia, Cayuga, New York, USA. He died on 5 July 1939 at Dunkirk, Chautauqua, New York, USA. Margaret O'Connor was born on 30 April 1876 at Montezuma, Cayuga, New York, USA.1,2,3,4 She lived in 1880 at Montezuma, Cayuga, New York, USA.2 She lived in 1892 at Montezuma, Cayuga, New York, USA; Age: 16.3 She lived in 1900 at Montezuma, Cayuga, New York, USA.1 She died circa 1965 at Rochester, Monroe, New York, USA. She was buried at St. Joseph's Cemetery, Fleming, Cayuga, New York, USA. Her married name was O'Connell. Mary A O'Connor was born circa 1875 at New York, USA.1 She was born in 1877 at Auburn, Cayuga, New York, USA. She lived in 1880 at Montezuma, Cayuga, New York, USA.1 She lived in 1892 at Montezuma, Cayuga, New York, USA; Age: 15.2 She married George J. O'Connell, son of Edward O'Connell, on 6 June 1905 at Moravia, Cayuga, New York, USA.3 Mary A O'Connor died on 6 January 1962 at Rochester, Monroe, New York, USA. [S1040] Auburn Daily Advertiser, Auburn, NY, June 13, 1905 p4. [S532] Unknown author, Leo Richard Flanigan (n.p. : n.pub., unknown publish date). Mildred Mallory married Edward Yawney. [S65] 1920 United States Federal Census, online , 1920;Census Place: East Cleveland Ward 3, Cuyahoga, Ohio; Roll: T625_1374; Page: 12A; Enumeration District: 623; Image: 898. 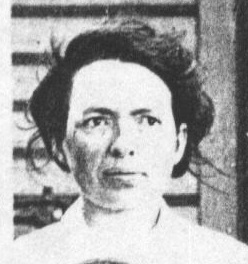 Her married name was O'Connor.7 Mary E. Connors was born on 8 January 1876 at Montezuma, Cayuga, New York, USA.8 She was born in February 1878 at Savannah, Wayne, New York, USA.9,1,2,7,3,4,5,6 She lived in 1892 at Montezuma, Cayuga, New York, USA; Age: 15.5 She lived in 1900 at Montezuma, Cayuga, New York, USA.1 She lived in 1910 at Montezuma, Cayuga, New York, USA.2 She married Maurice A. O'Connor, son of Thomas O'Connor and Ellen O'Hearn, on 14 August 1917 at Montezuma, Cayuga, New York, USA.10 Mary E. Connors lived in 1920 at Montezuma, Cayuga, New York, USA.7 She lived on 1 June 1925 at Montezuma, Cayuga, New York, USA; Age: 47Relationship: Wife.6 She lived in 1930 at Montezuma, Cayuga, New York, USA.4 She lived on 1 April 1940 at Montezuma, Cayuga, New York, USA.3 She died on 15 October 1950 at Auburn, Cayuga, New York, USA, at age 74. [S62] Ancestry.com, Social Security Death Index (n.p. : Online publication - Provo, UT, USA: Ancestry.com Operations Inc, 2011.Original data - Social Security Administration. Social Security Death Index, Master File. Social Security Administration.Original data: Social Security Administration. Social Security D, unknown publish date), Number: 128-30-5164; Issue State: New York; Issue Date: 1955-1957. [S642] Unknown author, St. Joseph's Church (Weedsport, New York) Baptisms 1862-1910 Marriages 1862-1910 Deaths 1883-1910 (n.p. : n.pub., unknown publish date), Mar 26, 1902. James Francis O'Connor was also known as James F Connors.2 He was born on 20 July 1903 at Montezuma, Cayuga, New York, USA.1,5,2,3,4 He lived in 1910 at Montezuma, Cayuga, New York, USA; Age in 1910: 6Marital Status: Single; Relation to Head of House: Grandson.2 He lived in 1920 at Montezuma, Cayuga, New York, USA.1 He lived on 1 June 1925 at Montezuma, Cayuga, New York, USA; Age: 21Relationship: Son.4 He lived in 1930 at Montezuma, Cayuga, New York, USA.5 He lived in 1935 at Montezuma, Cayuga, New York, USA.3 He married Mildred L Northrup, daughter of Herbert W Northrup and Ada M Fowler. James Francis O'Connor lived on 1 April 1940 at Montezuma, Cayuga, New York, USA; Age: 36Marital Status: Married; Relation to Head of House: Head.3 He died on 6 September 1989 at Auburn, Cayuga, New York, USA, at age 86. Charles W. Flanigan was Type: Cause of Death. 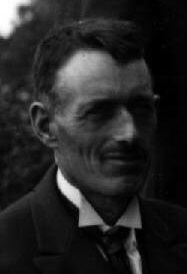 He was born circa 1873 at Ohio, USA.1 He married Catherine O'Connor, daughter of Thomas O'Connor and Ellen O'Hearn, on 22 June 1900 at Auburn, Cayuga, New York, USA. Charles W. Flanigan died on 16 November 1944 at Auburn, Cayuga, New York, USA. [S74] The Citizen Advertiser, Auburn, NY, Nov. 17, 1944 p 5. Clement W. Flanigan was born on 3 October 1904 at Auburn, Cayuga, New York, USA. He married Anne Lavey. Clement W. Flanigan died on 16 September 1972 at Auburn, Cayuga, New York, USA, at age 67. Charles F. Flanigan was born on 8 December 1906 at Auburn, Cayuga, New York, USA. He married Dorothy O'Connor. Charles F. Flanigan died on 25 November 1983 at Auburn, Cayuga, New York, USA, at age 76. 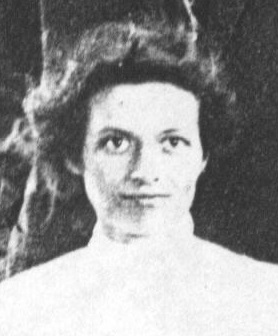 Marguerite Flanigan married Albert J. Kaufman. 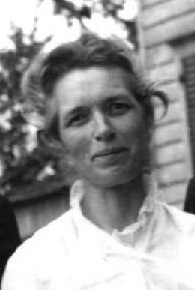 Emrita Flanigan married Donald Delaney, son of William Delaney and Christina Kennedy, on 3 October 1935 at Auburn, Cayuga, New York, USA. Emrita Flanigan married John Hawkins after 1936. Her married name was Lont. Regina Catherine Flanigan was born circa 1901.1 She married Ivor Charles Lont, son of Charles Lont and Mary Drake, on 3 February 1927 at Auburn, Cayuga, New York, USA. George J. O'Connell was Type: Cause of Death. He was born in 1882 at Ledyard, Cayuga, New York, USA. He married Mary A O'Connor, daughter of Thomas O'Connor and Ellen O'Hearn, on 6 June 1905 at Moravia, Cayuga, New York, USA.1 George J. O'Connell died on 30 March 1926 at Auburn, Cayuga, New York, USA. Gladys O'Connell was Type: Cause of Death. She was Type: Cemetery at St. Joe's Sec 7 Lot 98 2 SE. She was born in 1909 at Auburn, Cayuga, New York, USA. She died on 20 November 1959 at Rochester, Monroe, New York, USA.